You depend on your water heater to provide hot water when you turn on the tap, and Hagerstown area water heater installation services from Larry & Sons make sure that is exactly what happens. We have a great selection of water heaters for you to choose from, and our experienced plumbers will have them installed properly and efficiently. There are several factors you will have to take into account when you are picking out the best water heater for your home. We recommend and install gas supplied tankless water heaters. The tankless only operates when water is turned on at a faucet so it is not wasting any energy. If gas is not available, then one of our energy efficient traditional tank heaters is available with great warranties. Our professional water heater installation service begins with a survey of your home’s hot water usage, so we can see what type of water heater would be best for you. Once you have settled on a type of water heater, we will need to determine how large a unit you need. It is very important to size your new water heater properly because one that is too small will not be able to keep up with the hot water needs of your home, while one that is too large may be inefficient. When you hire the professional Hagerstown plumbers at Larry & Sons, you will benefit from our years of experience working with this water heater equipment. We will make sure the water heater we install for you is the right size and style to keep the hot water in your home flowing when you need it. Larry & Sons provides top quality plumbing and water heater services in Hagerstown, Frederick MD, and the surrounding area. Yearly water heater maintenance in Maryland is essential for the health of your system. 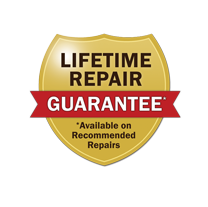 Larry & Sons proudly provides yearly maintenance packages as well as on-demand maintenance calls. Give us a call to learn more.